Vergola have been manufacturing and installing their award-winning, superior opening louvred roof system, Australia-wide, for well over two decades. The highly reputed combination of innovative features, quality workmanship and design flexibility set Vergola Opening Roofs apart in a field of their own. Individually designed, Vergola is the logical choice for both residential and commercial applications. Vergola Gold Coast, well-established in turn, has been proudly designing, installing and servicing Vergola Opening Roofs on the coast, to the very highest standard of quality workmanship and outstanding customer service for almost two decades. In Style Patios and Decks is a Stratco Authorised Dealer on the Gold Coast, Northern NSW and Brisbane designing the widest range of patios, pergolas, carports and decks available. Our extensive business experience includes over 18 years of hands on building experience and 12 years experience working within Stratco, the leading patio designer and manufacturer in Australia. We offer a leading product at a highly competitive price, backed up by a professional team to ensure every job is handled in the best possible way. As a design and build renovation specialist, My Renovator is set up to do a great job and be highly cost effective. Our complete design and construction service can facilitate all outdoor projects, from outdoor room extensions, decks, patios to pergolas and carports. Whether you need an entertaining area decked out, or a complete backyard renovation – My Renovator have it covered. We take pride in our workmanship and importantly customer satisfaction. Referrals from past clients make up a large portion of new client enquiries we receive and are happy to provide you with a list of previous clients should you wish to discuss the level of our quality and workmanship and service. So, if you have no idea of what you want, some idea, some rough plans scribbled on scrap bits of paper or a full set of plans, make the smart move and come and call us today. We Supply and Build quality Colourbond and insulated patios and carports on the Gold Coast. We only use quality Australian made products that can stand the test of time with backed up warranties and long-term performance in the harsh Australian conditions. We are super proud to be a leading Home Improvement company on the Gold Coast. We are willing to go the extra mile to get you what you want for the price you wish to spend. We will draft your project in 3d and give the chance to try before you buy, make changes, change designs and work within your desired budget. It costs nothing to compare quality, price and to develop trust with the owner and operator of the company you will be dealing with. Anthony’s Shade Sails are a family owned and operated business. We have been designing, manufacturing, and installing custom shade solutions for all types of commercial and residential applications. All our workmanship is guaranteed. We have been in business on the Gold Coast since 1996, so it’s no surprise that many of our commercial shade sails are in prominent locations around the Gold Coast. • Waterproof shade sails • Umbrellas • Canopies • Carport shade sails • Structures. You can contact us on 07 5527 3368 during our business hours Monday to Friday between 8:00am and 5:00pm and on Saturday between 8:00am and midday (12:00pm). Bardera Patios as a Stratco Outback Authorized Patio dealer. 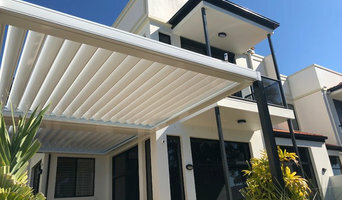 This allows each and every client to receive Stratco's 15 year warranty and the piece of mind knowing they are building with the backing of Australia's leading patio manufacturer Bardera Patios have been installing patios, pergolas, carports and decks on the Gold Coast and Brisbane for over 20 years. Trust this wealth of experience when selecting Bardera Constructions to install your patio. Contemporary Decks prides itself on building quality crafted outdoor timber structures. We stand by our products and superior finish 100%. We have experience within the industry for the last decade so Contemporary Decks can offer you the best outdoor timber structures combined with extensive attention to detail and master crafts-men ship. Deck-Max™ is 100% Australian Owned and Operated, and has being servicing the building industry since 1985. With 28 years experience in the Building industry and speaking to tens of thousands of people, you establish a very strong understanding of what the customer wants, what is required to meet the demand of the product and then deliver this package. Deck-Max™ manufactures 100% of its products which includes quality control, product specifications, development of all designs..
World of Sheds offer easy to install DIY Sheds and Carports. All steel construction with genuine colorbond steel for that professional finish. 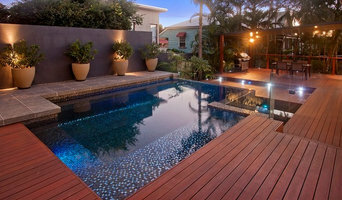 The Gold Coasts leading decking professionals, call now for your free quote! Have your deck installed for less than you think without compromising on quality, durability or style. MJR Building and Construction are a reliable and reputable decking company ready to create your entertainers paradise. We offer non biased opinions on different materials to suit your needs and budget. We can also help with the design of your new deck to make the most out of your property. MJR also specialise in pergolas to complement your new deck. MJR Building and Construction specialise in all aspects of completing your deck. We work with you through the design stages and gaining council approval where necessary. We advise on the selection of materials to suit each individual job, whether it is for durability, affordability or to add value to your home, MJR is there to help every step of the way. We also have vast experience in high end decking, using secret nail fixing options. MJR Building and Construction leave you with a completed deck from start to finish. The construction of the deck followed by hand railing, steps, edging boards and stain. MJR can also construct pergolas to complement your new deck, using the materials that you want. Whether the deck is an extension, around a pool or to create an extra living space, there is no doubt it will add value to your property. There are no hidden fees with MJR Building and Construction. Once we have completed a free, no obligation site inspection we can give you a fixed price. Have your deck completed by licenced carpenters so the quality can be assured. No job is too big or too small; give MJR a call today for your free quote, your entertaining area will have never looked so good. What can a decks, patios and outdoor structures professional do? 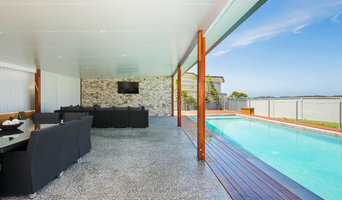 Some contractors in Tweed Heads West, New South Wales can custom design and build any type of outdoor structure, from decking to pool houses, while others specialise in a certain area. A deck, patio and outdoor structures contractor will typically survey your space and come up with a design that complements your backyard and the exterior of your Tweed Heads West, New South Wales house. They will recommend materials and finishes that best suit your scheme, your climate, and how you intend to use the space. The options are plentiful, and a pro will be able to highlight things you may not have considered before that will maximise your outdoor space. 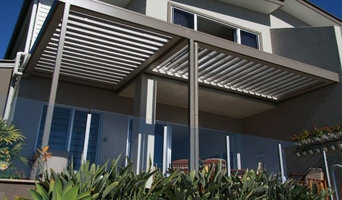 For example, will your patio require shade sails or awnings for UV protection? Have you considered a gazebo, unattached to your home, or would you prefer a garden room or conservatory? A professional will also be aware of safety and building regulations regarding decks, pergolas, patios and any outdoor room or elevated structure. Find a Tweed Heads West, New South Wales deck, patio and outdoor structure pro on Houzz. Scroll through this page to professionals in your area that can design, build and supply materials for all types of outdoor structures. You can browse their latest projects, read reviews to see how other homeowners rate their work, and message them directly. You can also look through Outdoor Photos to find designs you like, then contact the professional who worked on them.